Customer experience (CX) is so important for businesses seeking to grow sales and expand share in a competitive market. A positive customer experience drives unsolicited praise from satisfied customers, while a poor customer experience is equally efficient at spreading the word that your company is tough to do business with. The platform-agnostic CPQ applications offer full functionality from the desktop, smartphone or tablet. Customers, regardless of where they are or how they are accessing your customer portal, have full access to all of the functionality available. Businesses that use Microsoft Dynamics have an advantage over other businesses that seek to build out a superior CX. Microsoft Dynamics provides an all-inclusive business automation environment that can be augmented with a wide variety of applications supplied through the Microsoft Partner Network. These applications are specifically designed to work hand in hand with MS Dynamics to provide an easy-to-use, familiar interface that delivers a world-class customer experience based on the familiar look and feel of the Microsoft environment. Let’s explore how these applications can help MS Dynamics users build out the ultimate CX. How do customers define a positive CX? What makes one transaction emblematic of a high-quality experience and another an example of failure? Obviously, many of the more subjective descriptions used to describe a given transaction are born of the individual customer’s transaction and are not necessarily translatable into generalized features or design elements. Comments such as, I was able to do what I wanted to do quickly, or I didn’t have to waste time ploughing through multiple menus are positive comments, indicative of a responsive experience. While they do not provide solid direction to sellers, they are helpful in terms of identifying specific attributes found within a positive CX. Let’s look at how these attributes contribute to a positive CX and what apps are specifically useful in that regard. Customers will engage with sellers in many ways using many different technologies. The telephone, once the only option available to remote users, has been supplanted by the desktop, mobile, smartphones, tablets and specific applications that run on any or all of these environments. This combination of physical platform, cloud or onsite location and application-born connectivity is the challenge to achieving true multi-platform compatibility and accessibility. The customer expects the same level of accessibility each and every time they connect, regardless of what tool or platform they are using at the time. CPQ software hosted within the Microsoft Dynamics environment must be transparently available upon demand within the context of the user’s needs at the time, regardless of how they might be connected. A user who browses a product catalog from a desktop browser accesses CPQ software to find out how much the product costs, if it comes in the color red and if it can operate outside in freezing temperatures. Hours or days later, the customer wants to place an order for the product. This time, he or she is at home accessing the seller via a smartphone. 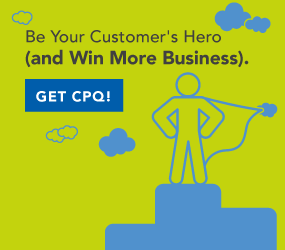 The platform-agnostic CPQ applications offer full functionality from the desktop, smartphone or tablet. Customers, regardless of where they are or how they are accessing your customer portal, has full access to all of the functionality available. After confirming the product specs and prices, the user accesses an eCommerce app that after receiving the product inputs from CPQ, executes the purchase transaction for the customer. That is how multi-platform applications and support provide enhanced accessibility. Buyers do not like to spend time figuring out how to get from one line of products to another. They want to find user stories about a product from within a product description. They want to access technical specifications related to a product without having to back out and execute a new search. They want to be able to move freely within the product environment and access data and information that may come from multiple sources from a single view within the host environment. Pricing data may come out of finance; product availability may emanate from the supply chain management system; order turnaround time is found in the production scheduling system; and the general product description may originate from within the product management group. Customers do not care where the information comes from, they just want to be able to get to it without clicking through 25 screens. A suite of applications such as CPQ, CRM, customer portals and eCommerce communicate between one another and access data from multiple systems via the Microsoft Dynamics backbone. The environment facilitates the ability to federate data and information from multiple systems in real time and present that data in a coherent presentation to the customer transparently. In our example, our user accesses the customer portal, pulls up the transaction record and checks the product information from CPQ. The buyer’s credentials are established using CRM, and the eCommerce app provides the process to execute a purchase—all from a couple of screens with minimal navigation. Navigability is enhanced by eliminating the need to cross the systemic thresholds for each individual system that maintains custody of the required data. Navigation is minimized by bringing data from multiple diverse sources together within a single application. In early manifestations of online commerce, users were frequently instructed to “contact us” for more information, which typically meant, call the sales rep. Having the human option available is not a bad thing, but relying too heavily on the required intercession of a sales rep to fulfill a customer’s needs is. The customer wants to decide when they need to speak with a human. In most cases, they would prefer that the system provide the information directly as required. An effective user experience will offer the human connection via chat options, telephone connections or at least an email connection to the appropriate resource. The ability of Microsoft Dynamics to interface with multiple and diverse applications facilitates the responsiveness required by customers who seek information or a variety of transactional processes with the user experience. The CPQ application feeds configuration and pricing information from the online catalog to the eCommerce app offering an order-entry and purchase interface. CRM provides specific information related to the customer’s status, their business, any ongoing issues, contact data and environmental and product history. But what if the customer has questions? What if they are not quite ready to click on the “purchase” button? Together, these apps directly supply the necessary data and functionality that the online chat agent, phone-based resource or customer needs to answer specific questions and fulfill the customer’s needs. All of these systems work together, transparently, to deliver a responsive user experience. Design elements within an online commerce environment should anticipate what visitors are trying to accomplish during their time onsite. However, anticipating a visitor’s needs can better be aided by maintaining a record of their online behavior during previous visits. CRM systems and marketing-automation products are adept at collecting and organizing online behavior profiles for visitors. The fact that John from Denver visits every Friday afternoon at 4:00 p.m. may indicate that John is interested in your product. However, it may also indicate that John is just trying to look busy during the last minutes of the pre-weekend workday. The options presented to John will be driven by what was of interest to him over the last several visits. The system will “remember” that John is interested in fishing boats, not water skis. The system will remember that John has purchased $10,000 worth of fishing equipment over the past three years. This provides information on brand preferences and possible product interests. Or, it will note that John never buys anything at all and just browses around dreaming about fishing. This guided-selling process utilizes the data collected during John’s previous visits. That data is stored in association with John’s contact record within CRM. When John logs on, the options presented to him are based on the preferences he displayed during earlier visits. When John shows up the following Monday, it may be to execute a purchasing transaction or perhaps to request a call from Sales. Regardless, the sales-automation tools that are invoked beneath the MS Dynamics umbrella are ready to accommodate John’s needs without John having to repeat visit product descriptions or redefine his requirements. Regardless of why he is there, the system will be ready to move John forward in the selling process. CPQ interrogates CRM to determine John’s status as a customer, national account or GSA-qualified buyer. It will evaluate his company in terms of credit worthiness and other issues that might exist. John plugs in information requested by CPQ related to environment, quantity, application and other variables. CPQ requests updates on available production slots, inventory levels and delivery options and produces a fully configured product description, visual representation of the product and an itemized price list for John. All of this interaction takes place transparently under the umbrella of the MS Dynamics host. All of that functionality requires a hub or backbone to serve as host and communication medium. For MS Dynamics users, that secure functional backbone is already in place when they start their quest for an enhanced CX—a secure environment to deliver all of the functionality available from that vast partner community that offers solutions within the MS Dynamics family. Operating behind the scenes, MS Dynamics carries all of this functionality across language and currency borders effortlessly. It offers localization where appropriate and simultaneously protects specific elements within the functioning system from unauthorized modification. Your customers can experience a whole new level of responsive, easy-to-navigate, secure and intuitive functionality when you bring all of these tools together within your MS Dynamics environment.